John, Mary, and Mary Magdalene taking Christ down from the Cross. 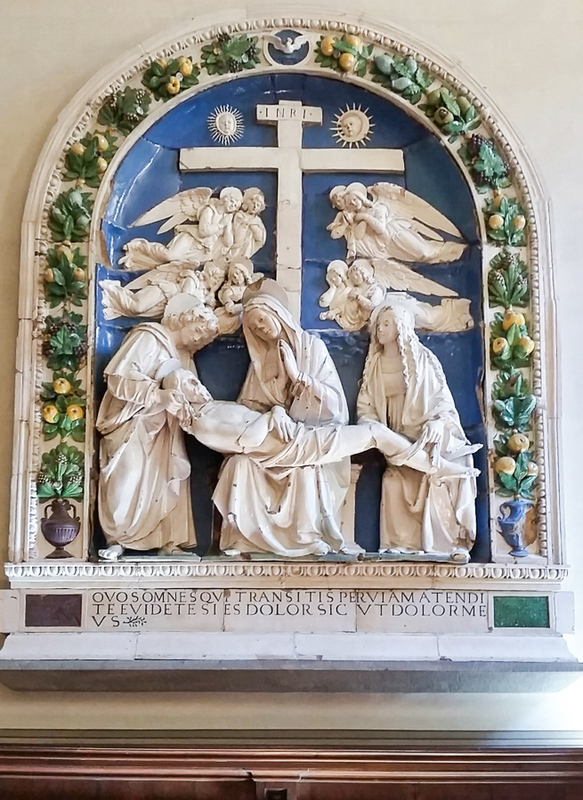 A della Robbia in Florence. Today we celebrate the second of the Companions of Christ, Saint John the Evangelist. During these twelve days of Christmas joy, we will be reading from his Epistle which affirms the reality of the humanity of the incarnate Christ. Also today, the blessing of wine is associated with John. This entry was posted in Christianity, Feasts and tagged blessing of wine, Christmas, Evangelist, Gospel, Saint John, Witness on December 27, 2016 by frjfkauffmann.